If your spine physician at the Southeastern Spine Institute has tried more conservative spinal medicine treatments without success to heal your back and stop your pain, you may have to consider surgery. Spine surgery in Charleston is almost always the last resort because it is so invasive; however, there are now minimally invasive techniques that can be effective. Your spinal nerves have become compressed, resulting in crippling back pain or leg numbness. You have bulging disks or herniated discs. This type of damage to your spine can result in severe pain. You have fractured your vertebrae or suffered an injury to your spinal column. Your spine has become unstable due to osteoporosis. In addition, a number of diseases may require back surgery, including: cervical radiculopathy, degenerative disc disease, scoliosis, spinal stenosis and spondylolisthesis. While the goal is to get you back to your normal life as quickly as possible, surgery can require a lengthy recuperation, which is another reason it is not the first option at the Southeastern Spine Institute. If your spine physician in Charleston determines that surgery is the best option in your case, he still has many options, depending on the location, cause and severity of your condition. When appropriate, he can choose minimally invasive surgery, in which a small incision allows access to the problem area. Because of the latest developments in surgical instruments, a small incision often is sufficient to perform the procedure. When a minimally invasive procedure won’t work, your spine surgeon may opt to access your spine from your side, which still minimizes the muscle trauma during the operation. The point is that the spinal surgeons at the Southeastern Spine Institute do whatever they can to protect you even if you need surgery. It’s geared to spinal surgeries. It’s less expensive than checking into a hospital. Our surgeons work with a team they trust. It’s outpatient surgery, so you may return home on the same day. You will receive excellent care before, during and after your operation at our Charleston ambulatory surgical center. You can recuperate onsite; you will not be released (into the care of a friend or family member) until you are ready. You will leave with specific instructions to continue your recovery. 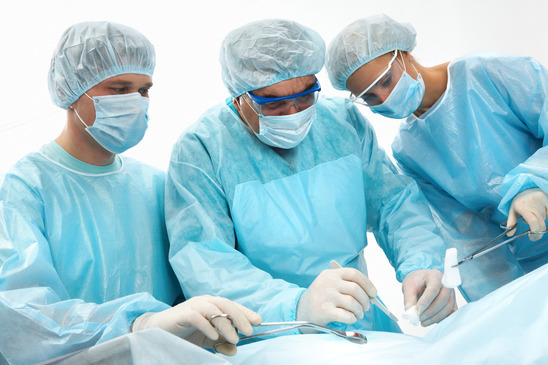 Your surgery will be explained to you so you know what to expect. From the day before your scheduled appointment to the day you can return to your normal life, you will be treated with respect and dignity. Our goal, as always, is to guide you safely back to a pain-free life.